The Goodwood Preschool, or kindergarten for 3 years 9 months - five year-olds, is integrated with the Goodwood Primary School. 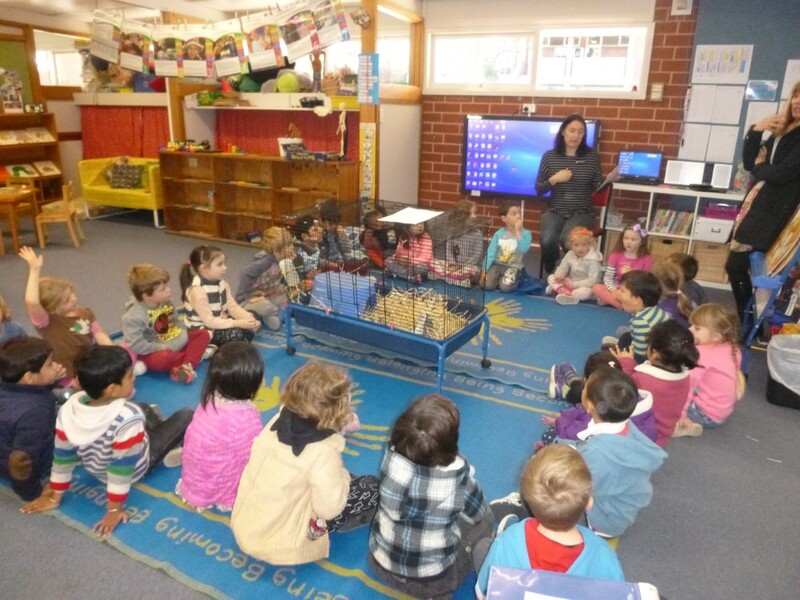 Goodwood Preschool has been assessed as EXCEEDING in the National Quality Standards. At Goodwood Preschool we are passionate about nurturing a love of learning through play which develops a strong sense of belonging and wellbeing. We encourage all children to be active participants in their learning, and be engaged in an inclusive and responsive play-based program inspired by each child?s needs, interests and wonderings. We provide a range of opportunities and experiences that support the development of a growth mindset and positive learning dispositions, such as enthusiasm, curiosity, persistence, resilience, confidence and cooperation. We value and respect diversity and equality, and believe that children's well-being and learning reaches its potential when we develop strong, positive partnerships with families and communities. We celebrate the individuality of all families, and encourage their involvement within our preschool. We actively seek the participation of community members in ways that support children's learning and link to their growing understanding of their world. We understand and appreciate the importance of a smooth and supported transition from home to preschool. We are fortunate to be on site with Goodwood Primary School which enables us the use of greater facilities and experiences. We continually reflect and collaborate with the school community to provide continuity of learning and a successful transition to school. Educators at Goodwood Preschool are reflective and collaborative practitioners with a strong emphasis on ongoing improvement and professional development. The pre-entry program is negotiated in term 3 and 4 depending on availability of spaces. Children who turn 4 before the 1st of May of any given year can enrol to start Preschool at the beginning of that year. Children attaned two full days of preschool per week from 8.30am to 3.15pm and one half day every second Friday Morning from 8.30am to 11.30am. Group one children attend Mondays, Wednesdays and odd weeks on a Friday morning. Group two children attend Tuesdays, Thursdays and every even week on a Friday morning. Young children are born ready to learn, and they learn and grow every time you interact with them. Visit www.greatstart.sa.edu.au for everyday ideas for you and your child. PreSchool Phone: (61 8) 8373 2586 .